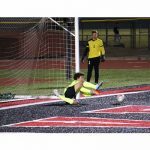 Monday, February 22, 2016 5:00 PM Lovejoy High School AWAY 2 Sherman High School HOME 1 Game Recap The Varsity boys won 2-1 vs. Sherman on Monday night. 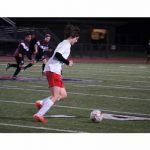 Austin Van Wagoner scored the first goal with an assist from Bretton Laboret. 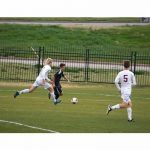 Cal Cranfill scored the winning goal for the Leopards deep into the second half. 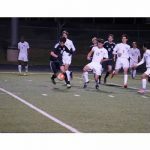 Monday, February 22, 2016 7:30 PM Lovejoy High School AWAY 0 Sherman High School HOME 2 Game Recap JV boys lose to Sherman 2-0 on Monday night. 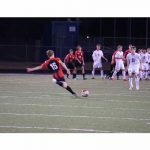 Next game is on Friday at 5:30 at McKinney North High School. 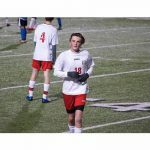 Friday, February 12, 2016 7:30 PM Wylie AWAY 1 Lovejoy High School HOME 0 Game Recap The Leopards nine game winning streak comes to an end with a 1-0 loss to Wylie Friday night. Next game is on Tuesday at McKinney High School at 7:30. 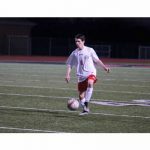 Friday, February 12, 2016 5:30 PM Wylie AWAY 2 Lovejoy High School HOME 0 Game Recap Junior Varsity boys lose to Wylie 2-0. They will try to bounce back on Tuesday at McKinney High School at 5:30.